Following a four week investigation, following the BBC programme which exposed alleged fraudulent activity, IQ has submitted a final report on fraudulent claims for certification by Ashley Commerce College. The investigation identified significant levels of fraudulent activity, which involved candidates that had not undergone training, and or had not sat examinations, being included with candidates that had undertaken programmes in the proper manner. The fraud was halted during external verification, and indeed was not visible during unannounced external verification visits. As a result of the investigation, the certification for 251 candidates who achieved certification fraudulently were revoked this week, and the SIA informed. The majority of the students have been sent a letter detailing the action taken and we are working with the SIA to confirm contact details for the remainder of the students. IQ has taken the decision to refer the matter to the police for investigation. Details of those associated with Ashley Commerce College that we believe were involved in the fraud, along with the names and addresses of the candidates achieving qualifications fraudulently, have been submitted to the police. Given the impending police investigation, no further comment will be made on the details of the complaint. However, IQ will be pursuing action in civil courts against all of those involved, including the students concerned, on completion of the police investigation. Learners who took security qualifications at Ashley Commerce College during January, February and March of 2015, and are awaiting their results, are not implicated in this investigation. 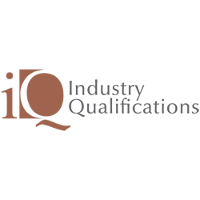 They should contact info@industryqualifications.org.uk including their full postal address and details of the qualification they took. IQ has undertaken a full review of its actions in relation to Ashley Commerce College, and can confirm that we have operated correctly and in accordance with both IQ procedures and Joint Awarding Body guidelines. A review will also be undertaken by an independent third party to verify the actions of IQ. Whilst IQ has operated appropriately, and in accordance with accepted norms for awarding organisations, we recognise that fraud has been committed and not picked up by standard quality assurance processes. In parallel to the investigation at Ashley College and our internal review, IQ has considered actions that might be taken to reduce the potential for fraud of the nature of that was conducted at Ashley Commerce College. In addition to the publication of the IQ White Paper, which calls for regulation of trainers and training company directors working in the security industry, a number of operational enhancements and changes will be made. Full details will be published before the end of May. IQ will also be providing a detailed outline of the fraud to other awarding organisations operating in the sector, with details of those involved. It is the opinion of IQ that systemic and organised fraud of the nature that we have encountered will only be stamped out through an extension of licensing, and a policy which includes reporting all those identified as knowingly and wilfully involved in fraudulent activity, including students, to the police. The requirement for reporting has been adopted by IQ, with immediate effect, and will be reflected in statements made on examination documentation moving forward.